After another epic season of racing, MCN’s sports team of Michael Guy (Sports Editor), Simon Patterson (MotoGP Reporter) and Oli Rushby (Superbike Reporter) sat down to discuss who impressed them the most in each race series we cover to establish MCN’s top five riders in each category. And after a hectic year of World Superbikes, it wasn’t an easy call to decide who deserved what spot in our top five riders of the year in the class. Here’s what we think - but feel free to disagree with us in the comments! 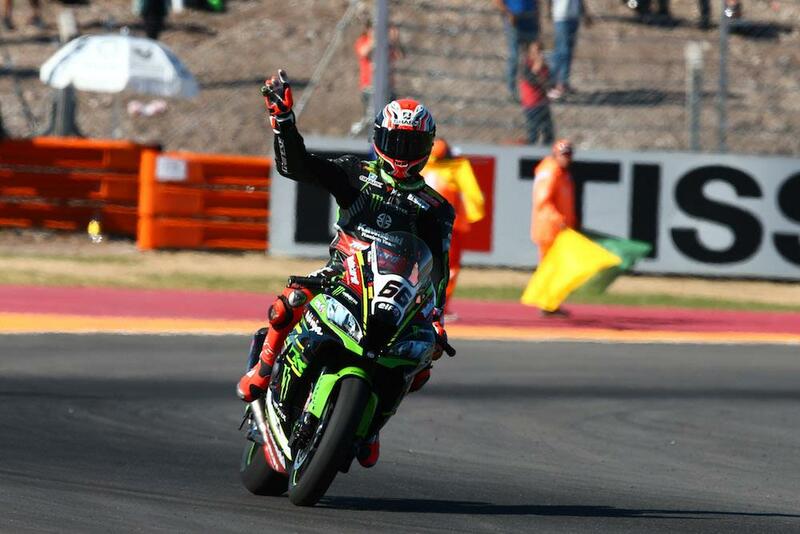 2018 proved to be a tough season for 2013 World Superbike champion Tom Sykes. Battling personal issues at home, the Kawasaki Racing Team rider admitted his mind was often elsewhere other than racing and the growing rift between himself and Jonathan Rea’s side of the garage at KRT made things even more difficult for the Yorkshireman. Finishing fourth in the championship with his lowest points haul since 2011, there wasn’t much to celebrate for Sykes but the Kawasaki star was able to remind the world of his brilliance on a number of occasions. His sole victory of the 2018 campaign came in true dominant style at Assen, where he wiped the floor with his opposition in a style reminiscent of the rider who so gallantly fought for the world championship in previous years. While it was a poor year for his win tally, Sykes did however make it into the history books with his pole position at Donington Park bettering Troy Corser’s all-time pole record. Adding a further three poles before the end of the season, Sykes now sits five clear of Corser and a whopping 32 poles clear of the next current World Superbike racer in the all-time standings, Jonathan Rea who has 16 poles to his name. Sykes will be hoping for a reboot in 2019 as he joins the new, official BMW Motorrad World Superbike effort, leaving Kawasaki after a nine year tenure. WSB: What next for Tom Sykes?